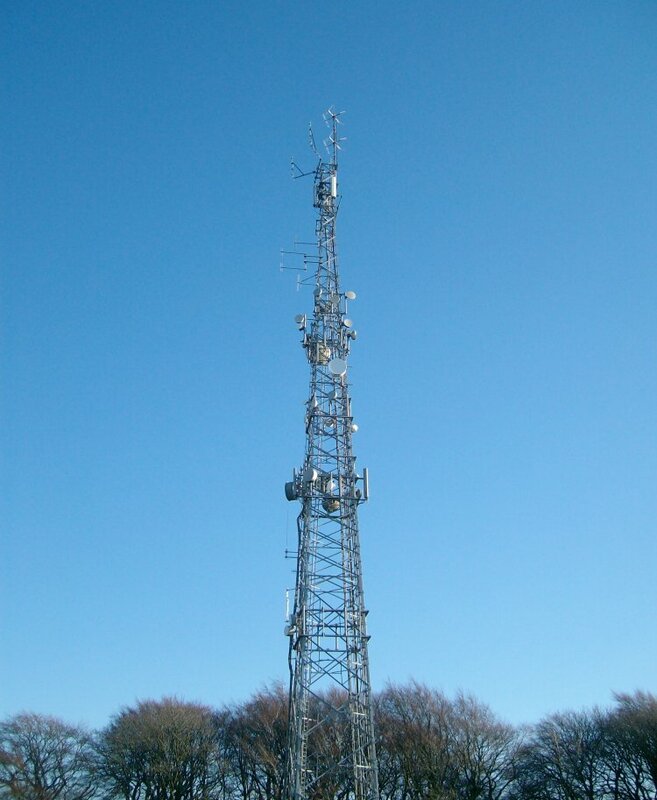 The Cathkin Braes Tx tower on the south side of Glasgow. 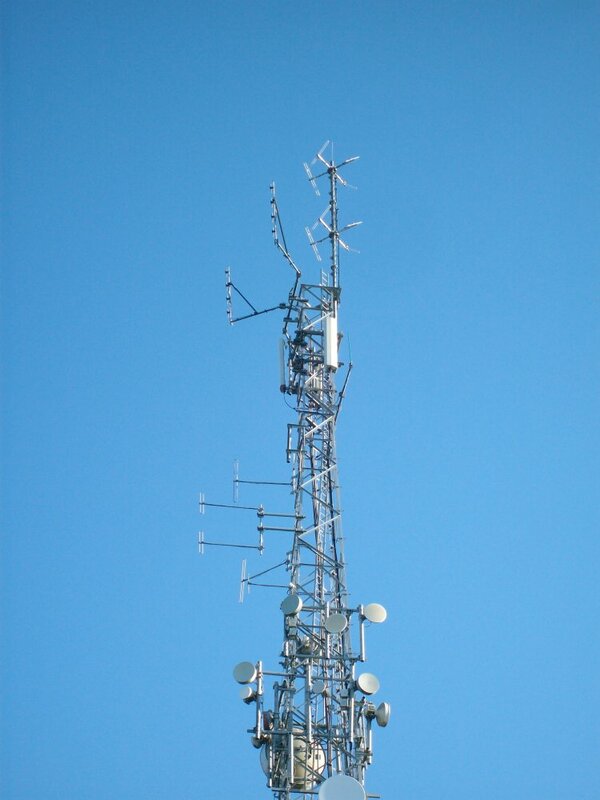 Recently added are the transmission aerials for new local radio station Nation Radio on 96.3MHz using 4 kW mixed polarisation (2V + 2H). 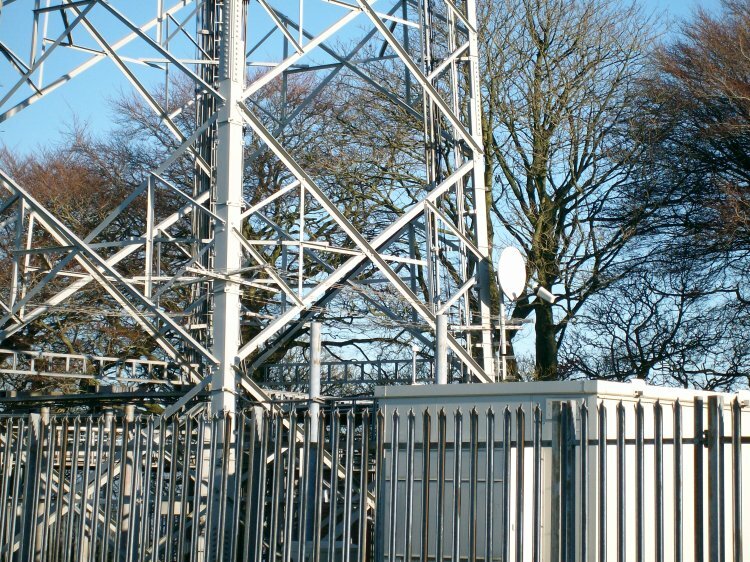 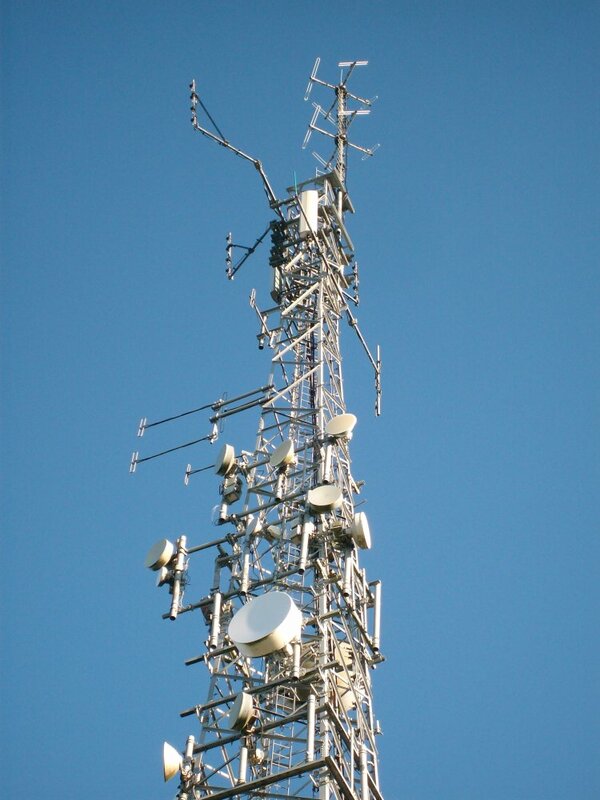 The Tx aerials for Nation radio are the slanted dipoles at the top of the tower forming a two tier Lindenblad array.